CyberSheath provides CyberArk Professional Services for your privileged accounts that enable compliance with a variety of requirements for commercial and federal entities. Enterprise Password Vault: ® fully protects privileged passwords based on privileged account security policies and controls who can access which passwords when. SSH Key Manager: ™ secures, rotates and controls access to SSH keys in accordance with policy to prevent unauthorized access to privileged accounts. Privileged Session Manager: ® isolates, controls, and monitors privileged user access as well as activities for critical Unix, Linux, and Windows-based systems, databases, and virtual machines. Privileged Threat Analytics: ™ analyzes and alerts on previously undetectable malicious privileged user behavior enabling incident response teams to disrupt and quickly respond to an attack. 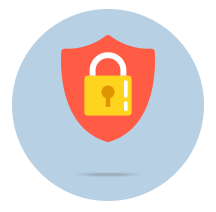 Application Identity Manager: ™ eliminates hard-coded passwords and locally stored SSH keys from applications, service accounts and scripts with no impact on application performance. On-Demand Privileges Manager: ™ allows for control and continuous monitoring of the commands super-users run based on their role and task. Endpoint Privilege Manager: secures privileges on the endpoint and contains attacks early in their lifecycle. Companies of all sizes today face an unprecedented number of cyber attacks on their networks from organized, patient, and well-funded groups targeting specific information. Advanced, targeted attacks follow a common, multi-stage approach to breaching defenses, gathering and exfiltrating critical data. Looking closely at the Advanced Persistent Threat (APT) attack pattern reveals that the theft, misuse, and exploitation of privileged accounts is a key tactic in each phase of the APT’s methodology. A privileged account is any login ID on a system or application which has more privileges than a general user. Privileged accounts are normally used by system administrators to manage the system, as service accounts, or by applications to connect to one another. Privileged accounts are pervasive throughout any organization, with some studies indicating that they are more numerous than general user accounts. Compromising privileged accounts is on the critical path to success for advanced attackers as they progress from network intrusion through lateral movement and ultimately to data theft. Nearly all of the most prominent reported data breaches involve some form of credential theft or account misuse. Surprisingly, few solutions offered to CISO’s and Security teams today focus on protecting privileged accounts and preventing their compromise. In fact, many of the solutions marketed to CISO’s presuppose privileged account compromise and lateral movement, operating on the premise that it’s a foregone conclusion that the APT will steal and exploit valid privileged account credentials. Instead, the focus of defending networks and data is often geared towards reacting to constantly changing tactics in the form of zero day exploits, new malware and sophisticated spear phishing campaigns. A CISO can spend a large portion of their budget on tools that try to predict attacker behavior that often at best simply rely on signatures from other previously known attacks. 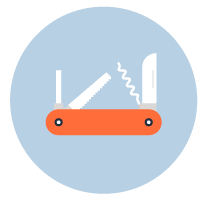 When these tools fail, as inevitably they will, CISO’s are left with an incident to respond to and a steady diet of spend, remediate, and operate. So what’s a CISO to do? Is there a way to get off the hamster wheel of incident response and begin to try and be proactive rather than reactive? The answer is yes and the opportunity to do so resides in protecting, accounting for, and gaining real-time intelligence and visibility of privileged accounts through the use of security tools designed to effectively control credentials. Privileged account credentials represent a known entity that if secured and controlled properly, could significantly disrupt the APT attack cycle. This concept of protecting privileged accounts to prevent data breach is acknowledged and endorsed by top cyber executives as well as government, commercial, and other subject matter experts as a matter of established best practice.